This sporty watch offers a vibrant zest to life. 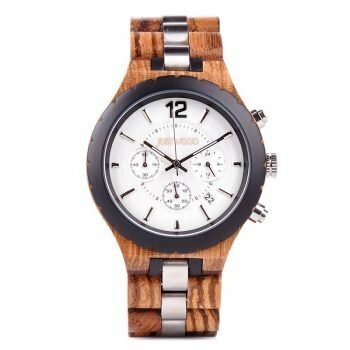 The Justwood Spinifex Desert Unisex watch presents with a numerical face and soft silicone band. The light wood face sits beautifully against the vibrant band, completing a relationship that lifts the spirits and makes you smile. The stylish silicone band uses a clip-style fastener that engages into the holes of the soft band for a comfortable fit that is fully adjustable. A watch that is perfect for those who are allergic to traditional watch materials due to a hypoallergenic design. Each watch is handmade from eco-friendly, sustainable materials. 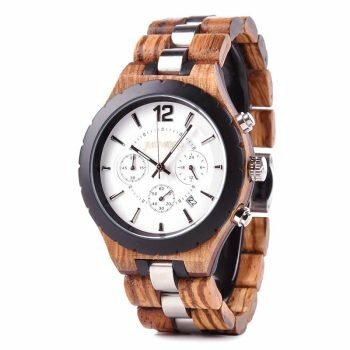 Our wooden watches are made from naturally occurring materials and are therefore genuinely unique. 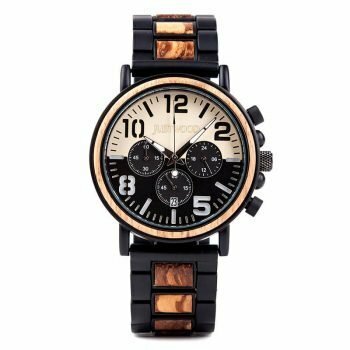 Just like human DNA, no 2 of our watches will ever be the same- that’s what makes our wooden watches so special. 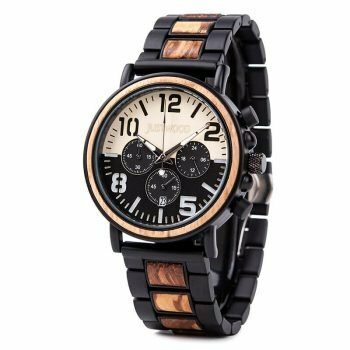 This means that the model pictured here on this listing and the actual watch you receive is likely to have minor variations with colours, tones and grain patterns.